The body scrub made from traditional herbs has a wide range of benefits. It will eliminate dead skin and cleanse, soothe, hydrate, as well as nourish your skin with natural vitamins and potent antioxidants. This body scrub treatment will prevent free radical damage to the skin, protect its natural elasticity and boost skin softness. The benefit of Facial Reflexology is total relaxation. Facial reflexology can produce a natural Botox effect by relaxing facial muscles; it can tighten the skin by improving muscle tone; and it can give you a healthy radiant glow that makes you look as good as you feel, and feel as good as you look. 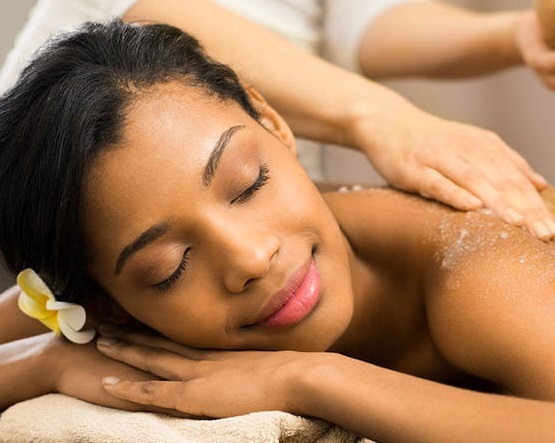 We offer you a range of beauty services to make you feel more beautiful and relaxed.